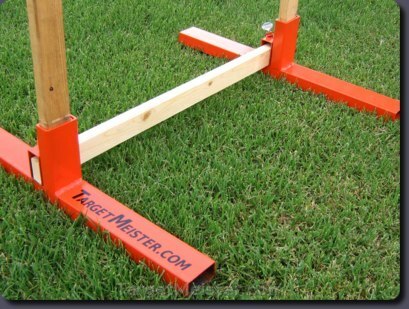 Prototype version of the Rowdy Yates Target Stand. Prototypes may be production stands that have cosmetic defects or be out-of-spec. Sold as-is. Not covered by our guarantee or return policies. These prototypes are production stands that have cosmetic defects or are out-of-spec.